The Biore Baking Soda Acne Scrub is what I consider the best acne blemish remover. This is an amazing product proven to fight most types of acne. Salicylic Acid is one of the most popular chemicals when it comes to fighting acne, it comes in different percentages, but with the higher the percentage the more likely it will dry your skin. On this study, it is discussed the effects of this chemical on the skin. It basically says how Salicylic Acid has been used for thousands of years to exfoliate pores and eliminate dead skin cells. Of course as you most likely are familiar we get breakouts when dead skin or dirt clogs our pores, the exfoliating and peeling action of Salicylic Acid decreases the chances of this occurring. Baking soda or Sodium bicarbonate if you want the more scientific name is a cooking product that has been used as a home remedy for acne. While there is no scientific research it is a very popular as an anti-inflammatory product, so when we get a blemish it usually turns red and big, baking soda will help decrease the size of the inflammation. This Biore scrub combines the anti-inflammatory elements of Baking Soda with the exfoliating and peeling power of Salicylic Acid making it an amazing combination scrub for most acne types that will leave your skin feeling very refreshed. The 2% Salicylic Acid which is the highest you will see in over the counter products will not be as drying since this is just a simple wash that you will clean off. The scrubs also has micro spherical beads that are a great way to help scrub off dead skin and unclog pores, they are made from micro crystalline wax, so they are not harmful to the environment. Biore is a very popular brand with an extensive product line with well received and reviewed products. 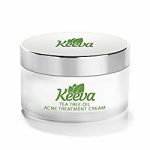 The amount of reviews and positive feedback certainly shows that this product is working for many struggling with acne. The scrub is a great wash to use before applying any other acne or skin treatment at night or in the morning. Always have an exclusive cotton towel for pad drying your face every time you wash it. All it takes is a little squeeze of small amount of product and apply it on your wet skin. Massage for at least a minute, you want the Salicylic Acid and micro beads to really exfoliate your skin, always massage in circles and with a little pressure. Let the product sit for a few seconds then rinse with water, make sure to keep your eyes and mouth close to avoid any of the beads getting there, while they are no dangerous it will be uncomfortable. As with any acne product, try it for at least a month before deciding if it’s not for you. There is a chance you might notice and increase in breakouts the first or second week, this is completely normal, do not get discouraged if you see no immediate results, acne curing is a process that takes patience and some testing, don’t give up. 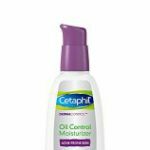 There is a great moisturizer on the Red/Dry skin page that is highly recommended with SPF 30, put it on after the scrub to avoid redness and peeling. 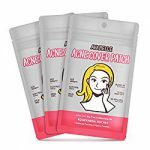 If you need more tips, tricks and information on other products always be sure to check out the Acne page. There is also the Scars page if you want to get rid of those acne scars. Take a look at the Biore Scrub over at amazon, this amazing scrub has a combination of great ingredients to give your face not only amazing exfoliation to open your pores, but also micro beads to remove dirt and baking soda to reduce the inflammation all while leaving your skin feeling refreshed and ready for bed or to take on the day. Acne clearing is not a simple task and it takes these type of products that can do multiple actions to really help all acne conditions, do not miss this opportunity to try the product that just might be that little push to really help you clear your skin and return it to its natural beauty. If you have any questions or comments please don’t hesitate to write and I’m hopeful this product will help on your path to a Beautiful Clear Skin. With these products she might notice some more breakouts a week or two after starting to use it (it happens sometimes). Overall it should take about a month before she can see real results and see if the product works for her. As for the pricing, it can vary, but I know for a fact Amazon always has the best prices for these products, so certainly get it from there. Hope it helps her, thanks for reading.